Group Discussion Ideas > Ethical GD Topics > Ethics in Politics – Myth or Reality? Ethics in Politics – Myth or Reality? Politics is an essential human activity – essential in building societies and communities based on rules & laws. Politics is complex and difficult. Political ethics is the practice of making moral judgments about political action and the study of that practice. “Ethics in politics” seems like a contradiction, even though many politicians try to give their best for the country. Trust and respect for politics and politicians is vital in a democracy, just like the absence of trust in the banking system brought global financial crises in 2008 same is the case for the politics, the absence of trust in politics and politicians can bring down the whole democracy. Ethics play an important role in the democracy, unethical behavior of Politicians not only lowers people’s trust in them but also weakens people’s trust in democracy. It brings in Transparency in decision making, thus building up Trust between the public and the politicians. Honesty & Integrity in politics has impact over citizens, therefore it needs to be given utmost importance in order to maintain the honesty in whole society. Transparency & Accountability in politics is also necessary as someone lacking these ideas can probably do corruption. It will greatly reduce the usage of money power, muscle power, nepotism and corruption in politics. The judgement on what is wrong and what is right differs from person to person, place to place and community to community, which will again raise the question of Ethics being wrong. Sometimes “Ethics in politics” could turn out to be a Bad omen as schemes like giving away Laptops, Mobile Phones, Un-employment Bonus, etc. Ethics may also sometimes give rise to the caste and communal politics, because some politicians give priority to being ethical to their community than to whole nation. Indian Judiciary system is never perfect, it is never fully independent. Nevertheless, Justice binds Society together. Justice increases trust in people and increases their faith in democracy. Mahatma Gandhi said that politics should be a branch of ethics. But, with the development of the economy of the countries, there has been a degrade in the moral values. Check the behavior of the members, who may disturb the smooth functioning of the system. Check abuse of allowances or privileges given to the members. Will also check for any type of disrepute to any members or the system. Will not interfere with any financial interests. 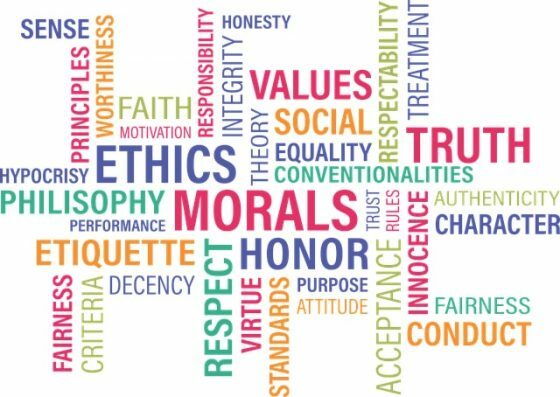 The problem of ethics in politics, and in societies in general, is that the moral arguments are not equal; they vary from place to place, from one community to the other. But the basic principles that everyone with must not be compromised in politics.